KP Channel Growth Associate is a professional services company dedicated to helping our clients grow their business through the more effective use of indirect distribution by all types of Channel Partners. We have deep, pragmatic experience across all stages of the Partner Life Cycle and with companies of all sizes. Our approach to our client’s success is based on KPCGA’s three underlying principles. 1. Every Client is unique. We are not a “one size fit’s all” company. Our recommendations and the resulting execution are always based on a detailed understanding of your business and your specific goals. We supplement our industry experience with the best practices insight and perspective that comes from lecturing on Channel Design and Management at Babson College and Bentley University, two of the world’s leading Business Schools. We don’t stop at making recommendations. We build and execute, plans that produce measurable results for your business. 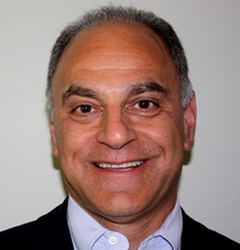 Richard M Aroian is the founder and Managing Director of KP Channel Growth Associates. Prior to founding KP Associates, Rich built a 20 year track record of business development and marketing leadership from Fortune 500 companies through start-ups. As an executive for multiple emerging growth companies, Rich has created new distribution channels, forged strategic alliances with industry leaders and established strong market positions leading to significant sales growth and successful exits. Early in his career, Rich led Digital Equipment into the then emerging wireless communications marketplace and quickly established a $200m annual partner driven revenue stream. Rich has helped larger companies like Sybase, Computer Associates and ADC create new Business Units, globalize their business development and marketing organizations and maximize Channel revenue. As a business school lecturer, Rich has developed one of the 1st graduate business school courses on emerging growth company Channel Development strategies and cross industry best practices. This work has led to the development of the Partner Learning Curve, a strategic framework for initial Channel entry and the creation of the Partner Mindshare Index, a tool for larger companies to assess the long term health of their Channel. Rich’s clients look to him and KP Channel Growth Associates for strategic guidance in maximizing the performance of their indirect distribution models and using indirect channels to create new revenue opportunities.